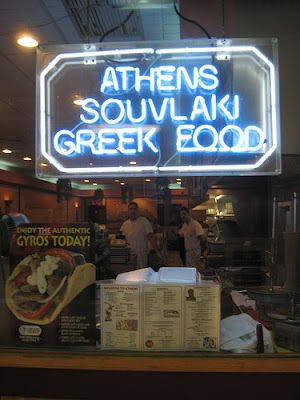 The restaurant is located in the Harvard Square plaza on the corner of Lahser and Eleven Mile. 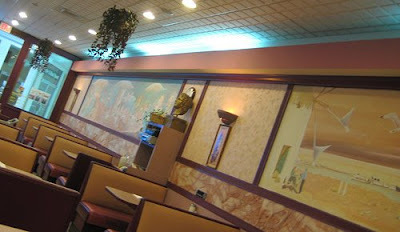 It is a small diner style restaurant with warm colors and wonderful murals of Greek scenery and mythology. 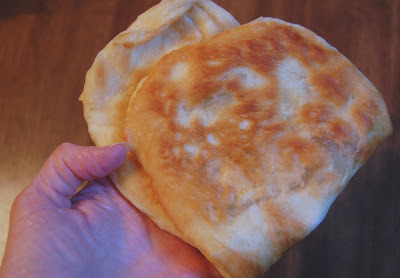 The star of this restaurant is the homemade pita bread! They bake it fresh on the grill. Soft inside, a slight crunch on the outside, a bit of olive oil flavor. The bread alone is worth the trip! The other thing that I absolutely love is their chicken. They marinate it in some lemony herby goodness and then grill it. 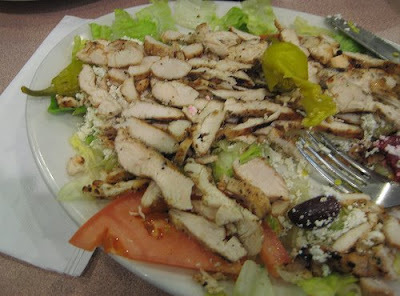 I love to get it added to the Greek salad which is topped with olives, tomatoes, peppers, and a generous layer of feta cheese. Their homemade dressing is a perfectly tangy topping for the salad. 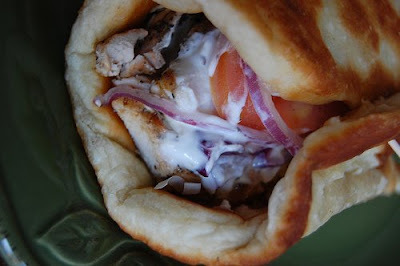 My favorite take out meal is the Chicken Gyro Sandwich. 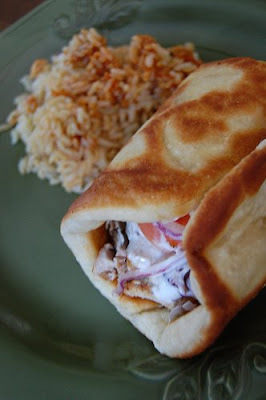 The chicken is served on the homemade bread with onion, tomato, and yogurt sauce. I sometimes get a side order of rice topped with a Greek red sauce. Everything else I've had here has been good as well - the kabobs, the Beef Gyros, the lemon rice soup, and the Pastitisio are other things I've tried and enjoyed. Wish we had a place like that here. The food looks just SOOO HEALTHY! Karen Bosch is the PreK - 8 technology teacher at Southfield Christian School at Southfield, MI. Clever Karen at AOL Holidays! This is a Flickr badge showing public photos from karly b. Make your own badge here.